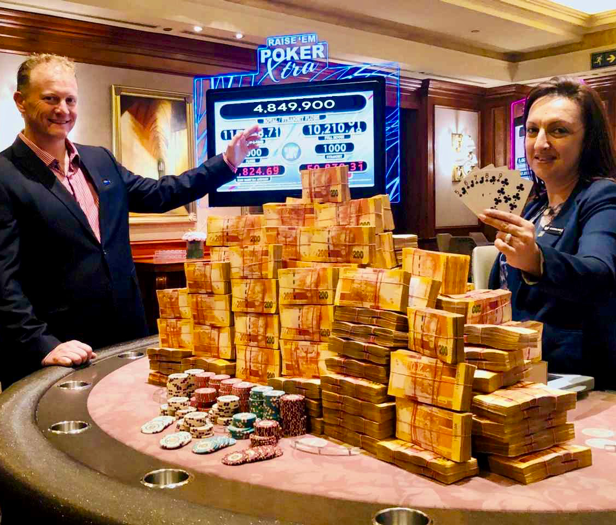 TCSJOHNHUXLEY’s powerful progressive system recently provided the largest ever poker jackpot to be won in South Africa. The jackpot, which paid out a staggering R4.8million was won in the early hours of Thursday 21stFebruary by a lucky player at Tsogo Sun’s Montecasino property in Johannesburg, South Africa. 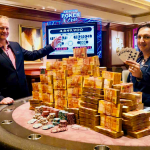 The jackpot, which is part of the popular TCSJOHNHUXLEY progressive game Raise Em Poker Xtra, grew steadily for several weeks until it reached a life changing R2million, word soon spread and within just two weeks the jackpot doubled to a record breaking R4.8million. In total Montecasino features twenty TSCJOHNHUXLEY progressive tables comprising four game varriants. The versatile TCSJOHNHUXLEY platform allows the casino to offer floor wide jackpots linking various games – Raise Em Poker Xtra and Big Bang tables on the main gaming floor and in the Prive, Raise Em Poker Xtra and Blackjack Elite tables – creating larger exciting jackpots which can won while playing any of the linked tables.